The evolution of Wawa’s fuel management systems and processes is a good example of how Wawa is routinely challenging the status quo and once again utilized data, technology, and their partnership with HVAC Concepts to do so. For many years now the Oil Price Information Service has ranked Wawa first among all U.S. gas stations in “market efficiency”, which is market share relative to the number of outlets. A typical Wawa fuel store has numerous tanks with several blends of fuels that need to be centrally and remotely managed. Wawa’s challenge to us was to minimize the latency in the then current system to effectively manage the fuel inventory, specifically, the time it took to provide the tank level status updates. On average it took several hours to get tank level status updates with their current automated systems and processes. This greatly impacted Wawa’s ability to manage high volumes of fuel inventory needed to sustain the customer demands on a daily or even hourly basis. On average it took several hours to get tank level status updates with their current automated systems and processes. 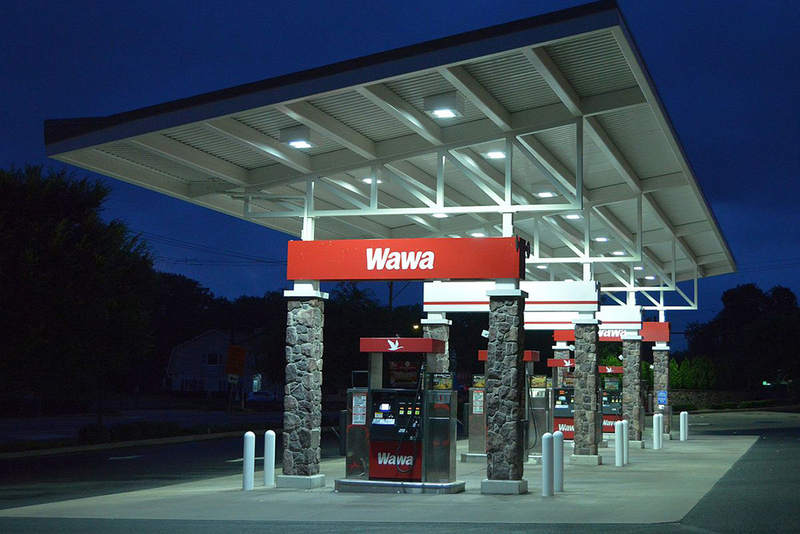 This greatly impacted Wawa’s ability to manage high volumes of fuel inventory needed to sustain the customer demands on a daily or even hourly basis. This meant that Wawa’s Fuel Management team had to ensure there was much more gas in the supply chain (in each store’s tanks, as well as delivery inventories) to ensure a store would never run out of fuel. This equated to excess fuel needed in the supply chain for over 300 fuel sites. HVAC Concepts worked closely with Wawa’s Fuel Management team and BAS/IoT team to find a solution. HVAC Concepts designs and communication protocol development resulted in Wawa’s Tank Level Status Updates now being obtained in minutes rather than hours. The Wawa Fuel Management team can now see in near real-time, the levels of all tanks at each fuel site. There was also a tank low-level alarm designed and implemented by HVAC Concepts that allows the team to set a percentage full for each tank and once this level is reached, an alarm is sent to the Wawa fuel management team via email. These timely updates have afforded Wawa significant savings and flexibility since the Wawa Fuel Management team can now accomplish just-in-time services for all of their fuel sites.